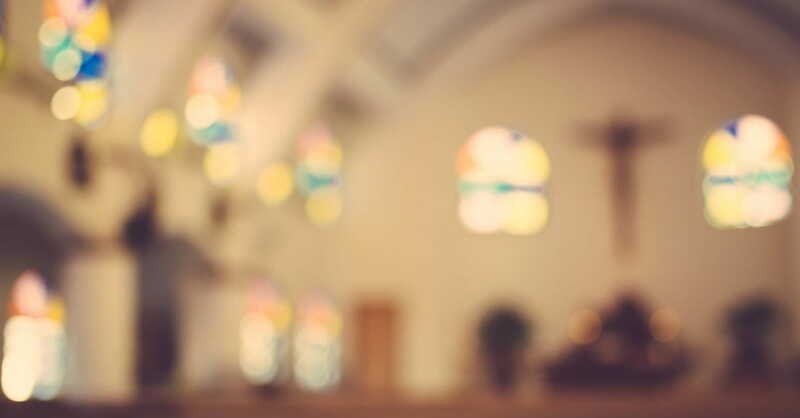 Should You Feel Shame for Missing Church? I’m tired. This is my only day to sleep in. People at church are hypocrites. They won’t even notice I’m not there. The ceiling would cave in if I walked through those doors. I know I should go, but I don’t feel like it. Sound familiar? I’ve been there. This article is for you, whether you attend regularly but feel guilty when you need to miss a week, or whether you do not go to church at all. I do go to church on Sunday mornings (but, I’ll admit, not to every service our church offers). I love it and I honestly don’t know what I’d do without it—but I’ll be the first person to say that you should not feel shame for missing it. Because here’s the truth: God doesn’t exist only within the walls of a church. That’s right. The Holy Spirit dwells within us. We can—and should—have a relationship with God that extends outside the walls of church, beyond the formal times of praise and worship, and even when we’re not around other believers. The reality is that church can be complicated. And the words “church” and “God” are not interchangeable. Countless people have been hurt by others in the Church. People have been judged, chastised, and abused in the name of religion. Some have been taught false beliefs about God and faith. No matter how well-meaning we are as a whole, the Church will hurt people and lose people. It’s inevitable. The Bible instructs us to devote ourselves “to the apostles’ teaching and to fellowship, to the breaking of bread and to prayer” (Acts 2:42)—in other words, to gather with other believers for times of fellowship. It also teaches us to “not giving up meeting together” (Hebrews 10:25) and to worship God. You can do that outside of church, too, so why does going to church matter? According to Ephesians 4:11-13, the purpose of the church is to build up believers, to equip God’s people for works of service. The church exists to teach us how to interact with others, to grow deeper in our faith, and to hear the Word of God (which instructs, teaches and convicts us). Why would the disciples tell us that some are appointed to be pastors and teachers and evangelists and prophets, if we weren’t supposed to gather together somewhere to learn from them? God calls our hearts to obedience, and the concept of church fulfills all of the instructions the Bible gives us. Personally, my faith has been formed in large part due to the people within my faith community—by hearing good teaching, by witnessing changed and faithful lives, by walking alongside others trying to live for God. Is my church perfect? No, and neither am I. Any time people interact with others, there’s a potential for strife and misunderstanding, for discord and hurt feelings. I’m not trying to downplay the very real damage done by some people within the church, and sometimes there are legitimate (and wise) reasons for people to leave their church. But all in all, going to church can be valuable. What we stand to gain is so much greater than what we miss if we do not go. So that settles it—we should feel shame and guilt when we don’t go, right? Nope. Because shame has no place in a relationship with God. We live under grace, which means that Jesus came to pay the price for all of our failings, all of our sins, all of our mistakes. If we fall short (as we all will do), we don’t have to fall into despair. Instead, all we have to do is tell God that we know what we’ve done and want to turn away from that behavior. When we ask God to forgive us, He does. And then we can let go of it, and all related guilt and shame and remorse, because that is exactly what He will do. Let it go. Honestly, if I thought God would beat me up every time I turned back to Him, I’d never do it. And if I believed He held Himself back and only made Himself known within the walls of the church, I’d start asking what kind of God He is. When we ask these questions, though, we discover something amazing. He’s magnificent and holy and omnipotent—and yet He chooses to dwell inside us. If we are the temple, we don’t need church in order to find Him. He’s already everywhere we are. As Christians, we can show our love for God by trying to live as Jesus taught his disciples. This includes having fellowship with other believers; encouraging, serving, and honoring one another; and hearing, reading, and studying the Word of God. Each of these things can be done outside of church, but the reality is that if you’re not gathered together with like-minded people, it’s more difficult to reach spiritual maturity. I know that in theory I can have a strong relationship with Christ on my own, apart from church, but in practice, my faith deepens and strengthens the more I am around other members of God’s Church. If, for whatever reason, you can’t be there (on a given week, or for a specific season of your life), then be intentional about filling your life with the things the church can provide. But that pesky guilt? Those feelings of shame or embarrassment you feel when you don’t go? Let it go, and instead hold tight to the God who created the Church. The One who wants to capture our hearts. The One that is with us no matter where we are. Heavenly Father, help me to let go of my shame and to trust in the reality of Your deep and abiding love for me. I want to honor You and know You better, both within and without the walls of the church. Help me do that in the place where You want me to be. Thank You for not hiding Yourself but for dwelling in me. Please show me how and where I can serve You best. In Jesus’ name I pray, amen.